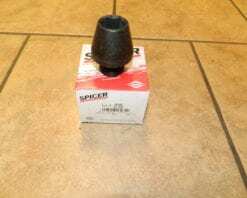 This is a genuine Dana Spicer spindle for the Dana 44 4X4 front axle in 1/2 and 3/4 ton trucks, Blazers, and Suburbans from 1973-1976. This also comes with the dust seals, inner bearing, and plastic thrust washer. 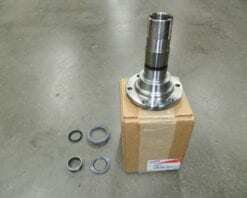 THIS IS A GENUINE DANA 44 SPINDLE WITH 5 HOLES FOR LARGE BEARING 1/2 TON DISC BRAKES APPLICATIONS. FITS MOST FORD 1976-1979 F150/F100 SERIES PICK UPS & SERVICE 1976-1978 BRONCO. 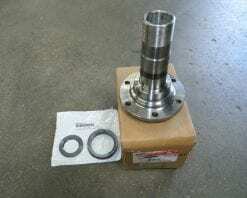 THIS SPINDLE COMES WITH THE INNER BEARING, DUST SEALS, AND PLASTIC THRUST WASHER. 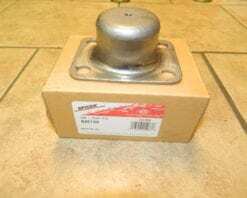 This is a genuine Dana Spicer spindle for the Dana 44 or corporate 10 bolt 4X4 front axle in 1/2 and 3/4 ton trucks, Blazers, and Suburbans from 1977-1991. This also comes with the dust seals, inner bearing, and plastic thrust washer. 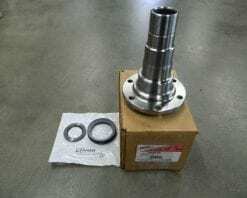 This is a genuine Dana Spicer spindle for the Dana 44 4X4 front axle in 1/2 and 3/4 ton trucks, Blazers, and Suburbans from 1973-1976. This is the same as part number 706528X, but it is much cheaper. This also comes with the dust seals, inner bearing, and plastic thrust washer. 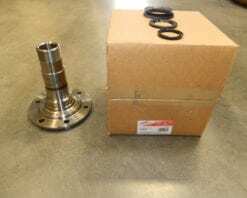 This is a genuine Dana/Spicer 4X4 front spindle for the Dana 60 front axle found in 1980’s and early 1990’s GM and Dodge trucks. 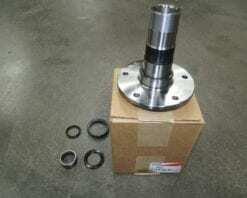 This kit includes inner spindle bearing, thrust washer, and the 2 rubber seals for the backside of the spindle. 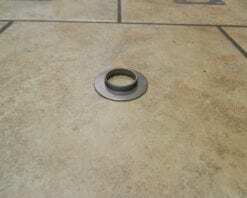 Photo shows spindle bearing installed, but they usually aren’t. 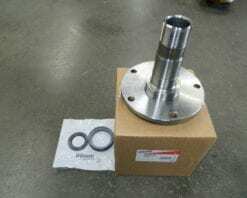 This is a genuine Dana/Spicer 4X4 spindle for the Dana 60 front axle in 1978-1998 Ford F350 trucks. This is the same as 700022, but is much cheaper. 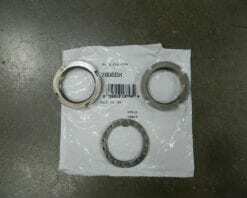 This includes the inner bearing, 2 dust seals, and axle thrust washer. 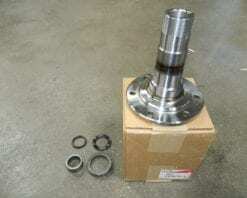 This is a genuine Dana/Spicer drive flange kit for a Dana 60 4X4 front axle with 35 spline outer axles. Most factory outer axles were 30 spline. 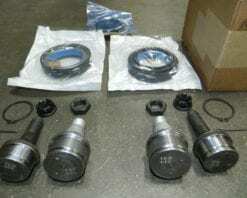 These fit GM, Ford, and Dodge applications with 55 internal splines in the hubs. 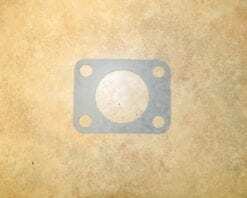 This is the gasket for the 4 bolt cap that goes over the spring and bushing in a Dana 60 4X4 front axle with the king pin setup. These were commonly found in GM, Ford, and Dodge applications from the early 1970’s to the mid 1990’s. 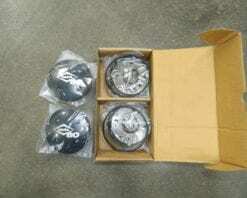 This is a 4 bolt cap that goes over the spring and bushing in a Dana 60 4X4 front axle with the king pin setup. These were commonly found in GM, Ford, and Dodge applications from the early 1970’s to the early 1990’s. 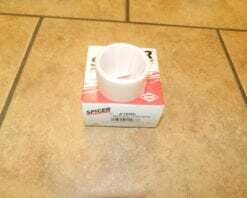 This is the upper nylon bushing in a Dana 60 4X4 front axle with the king pin setup. These were commonly found in GM, Ford, and Dodge applications from the early 1970’s to mid 1990’s. This is the upper screw in pin a Dana 60 4X4 front axle with the king pin setup. These were commonly found in GM, Ford, and Dodge applications from the early 1970’s to the early 1990’s. This is a spring seat that goes over the spring and bushing in a Dana 60 4X4 front axle with the king pin setup. These were commonly found in GM, Ford, and Dodge applications from the early 1970’s to the early 1990’s. 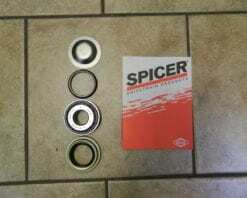 This is a lower king pin bearing and seal kit for a Dana 60 4X4 front axle with the king pin setup. These were commonly found in GM, Ford, and Dodge applications from the early 1970’s to the mid 1990’s. This kit does one side. 2 kits required per truck.